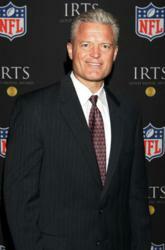 Retired NFL Great Bart Oates has Joined the Lineup of Professional Athletes Seeking Stem Cell Treatment Abroad. Regenerative Medicine Institute, Mexico announces that Bart Oates, President of the NFL Alumni Association Medical Alliance, has become part of a growing group of athletes travelling outside the U.S. for stem cell treatment. "My goal personally is relief from pain and increased mobility in my joints." Regenerative Medicine Institute, Mexico reports that Bart Oates, center for the New York Giants during their Super Bowl XXI and XXV wins, key player with the San Francisco 49ers as they won Super Bowl XXIX, and five time Pro Bowl player, has recently joined the ranks of professional athletes who have sought stem cell treatment abroad. Like Peyton Manning, Terrell Owens, Santana Moss and Bartolo Colon, Oates turned to stem cells to rejuvenate a body damaged by years of strenuous activity. According to Oates, many players leave the gridiron with residual injuries that can plague them for life. These same players have often depended upon their team trainers for all medical advice and are unsure what to do when those medical decisions become their own. As President of the newly formed NFL Alumni Association Medical Alliance, Oates travelled to Regenerative Medicine Institute, Mexico(RMI) for a firsthand look at the potential of stem cell treatment. RMI used adult stem cells to treat Mr. Oates, utilizing a protocol that is part of a clinical trial and currently under review by the U.S. National Institute of Health (NIH). RMI has 27 active clinical trials underway and registered with NIH.